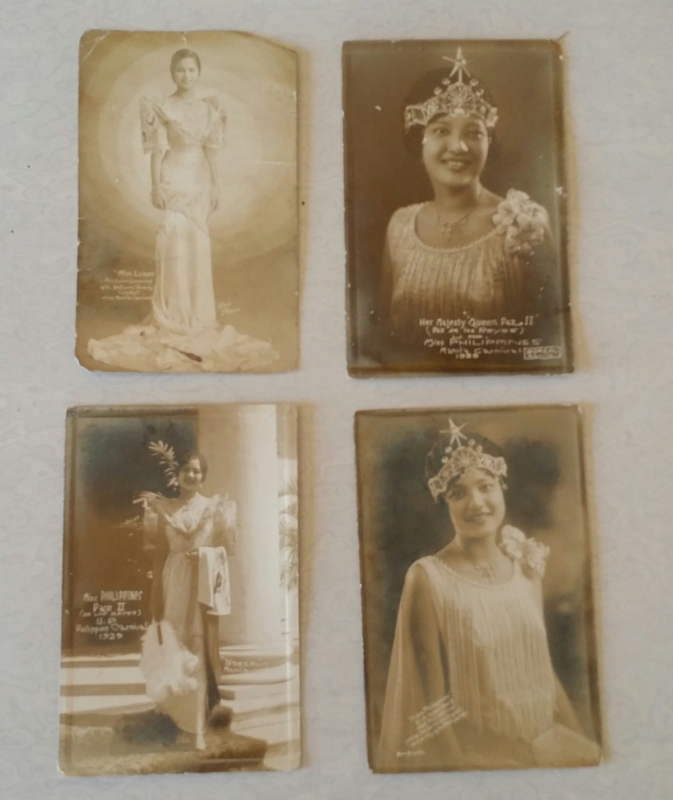 About a few weeks ago one of my grandmother gave me 4 pieces of vintage stock photos of the Manila Carnival Queens. I didn’t know what it was except for the writings on the pictures. My grandmother found these 4 vintage stock photos while she was cleaning their house. There were also other stock photos that came with it. But I will use it for my other blog post. Since she knew that I was collecting old things. She decided to give the stock photos to me. I felt excited since this was the first time I had copies of these pictures. Specially the Manila Carnival Queens pictures. 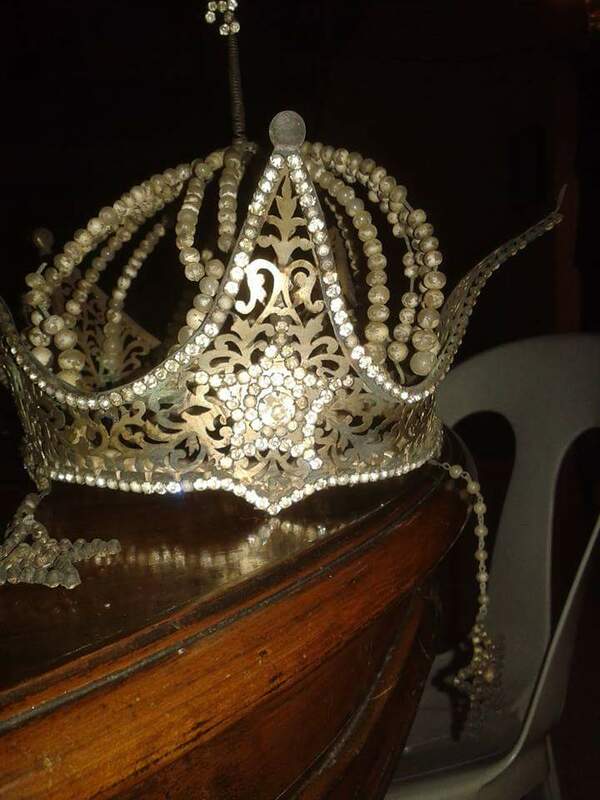 I asked her and some of my old relatives and acquaintances what the Manila Carnival Queens was about. Some of them said to me that it was a beauty pageant. It was held prior to World War 2 during the American regime in the Philippines. That was all that they were able to tell me. I also asked some of my group members in our local picking Facebook group. They said that these pictures are collectible. 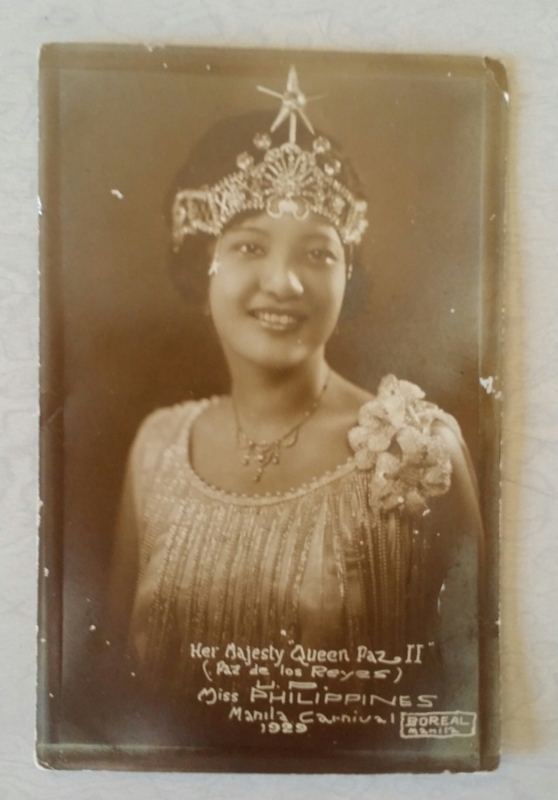 And a number of our group members collect these vintage photos of Manila Carnival Queens. 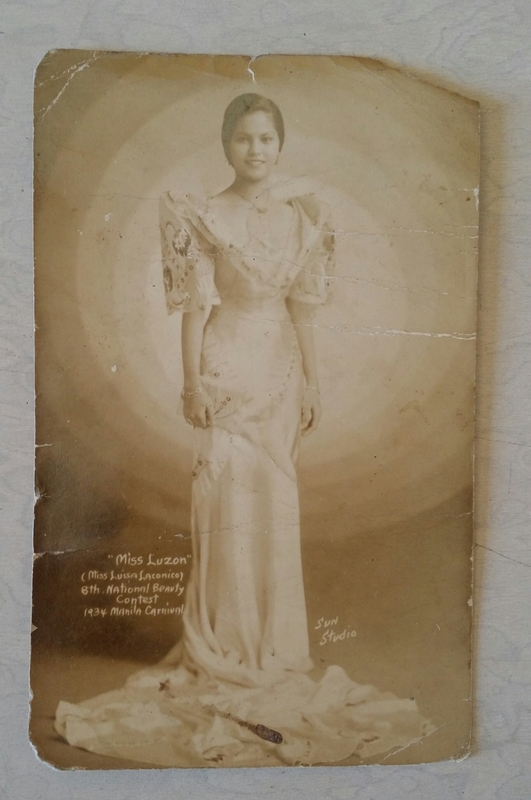 Due to me being curious with the Manila Carnival Queens vintage photos. I then decided to do a little more research. So I turned to the internet for help. The first website I found was manilacarnivals.blogspot.com. It is a site dedicated to the rich history and preservation of the Manila Carnival Pageant. The author of the blogsite is Sir ALex R. Castro. His website has many pictures and information of the different beauty queens of the past. If you want to read further the history of the Manila Carnival Queens, I definitely recommend his blog. The site even has tons of vintage stock photos of the different Queens and their respective year of reigning. Another website that I found that also has quite a number of pictures of the Manila Carnival Queens is pinoykollektor.blogspot.com. The author is named is named Pinoy Kollektor and his blog is about anything related to Philippine History. And the last one is Wikipilipinas. There was quite a bit of information about the Manila Carnival in the said site. It also has all the names of the winner and the particular year that when they won it. According to the sites that I mentioned. The Philippine Manila Carnival First started in February 1908 and the last was 1939. The original organizer of the Manila Carnival was an American colonial name Captain Langhome. He wanted to build a cockpit and exhibit Igorot tribesman for curiosities sake. Governor General James Smith was horrified with the said proposal. He then decided to transform the carnival into a ritual celebrating the Philippine-American island progress. The carnival was celebrated for 2 weeks wherein the Queen would also rule for that time. There were parade, shows, and the mood was very festive. It showcased the luxuries and talent of the Filipinos and Americans. Sadly because of World War 2 the pageant came to a stop and it was never celebrated again. But gave way to our modern beauty pageants here in the Philippines. The vintage photos that I got were only 4 pieces. 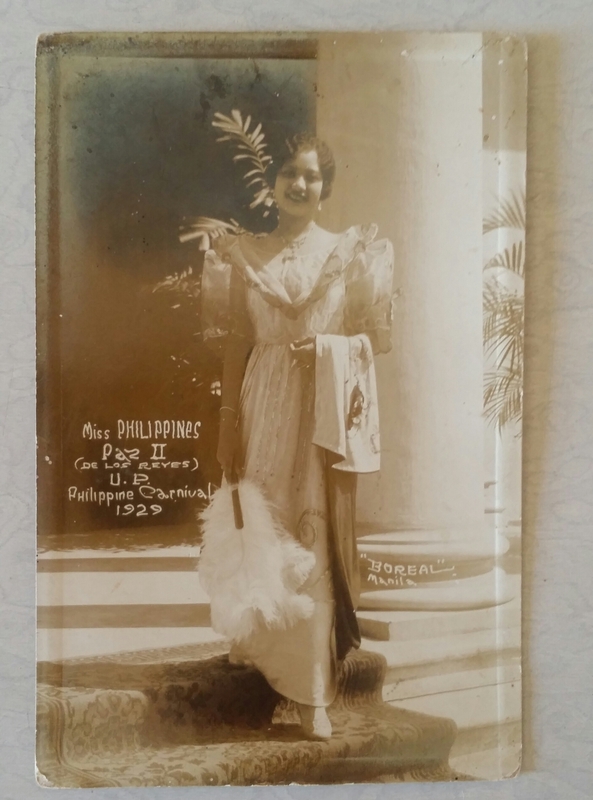 And I hope that I can get more of the vintage photos of the Manila Carnival Queens. Once I get a new copy I will definitely update this post. for a full list of the winners you can see them at wikipilipinas. 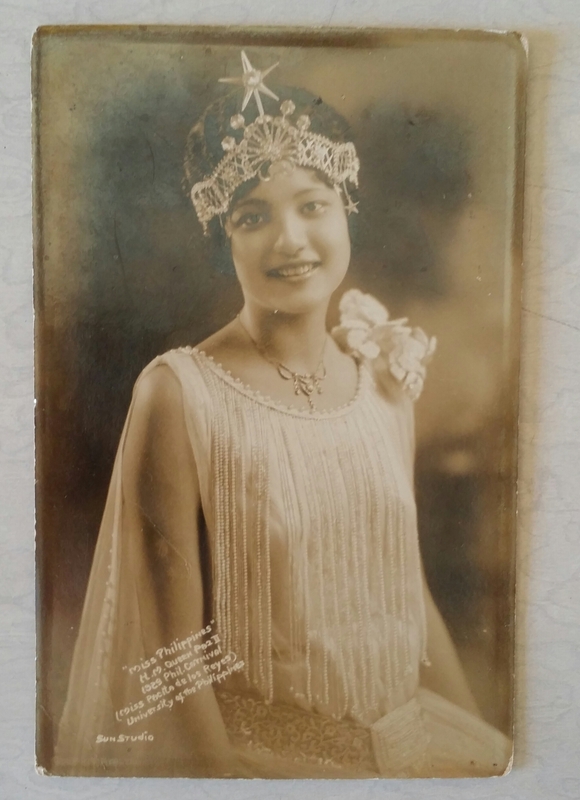 So here are the Vintage Stock Photos of the Manila Carnival Queens that I have. 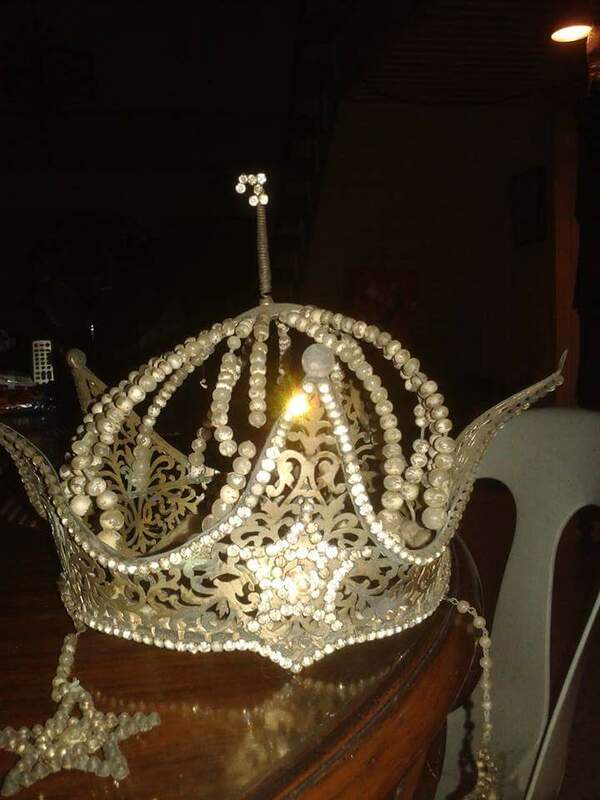 The two pictures below shows the crown that was actually worn by the Manila Carnival Queen of 1934. Her name is Clarita Tankiang Sanchez. The pictures was shared by Sir Martin Manalo. He is the nephew of miss Clarita Tankian Sanchez. Thanks alot sir for sharing these wonderful pictures. I wonder if you might have the contact of Martin Manalo. Id like to inquire on a loan of the crown for an exhibition at a non profit arts. foundation my details are below. Any help would be great.